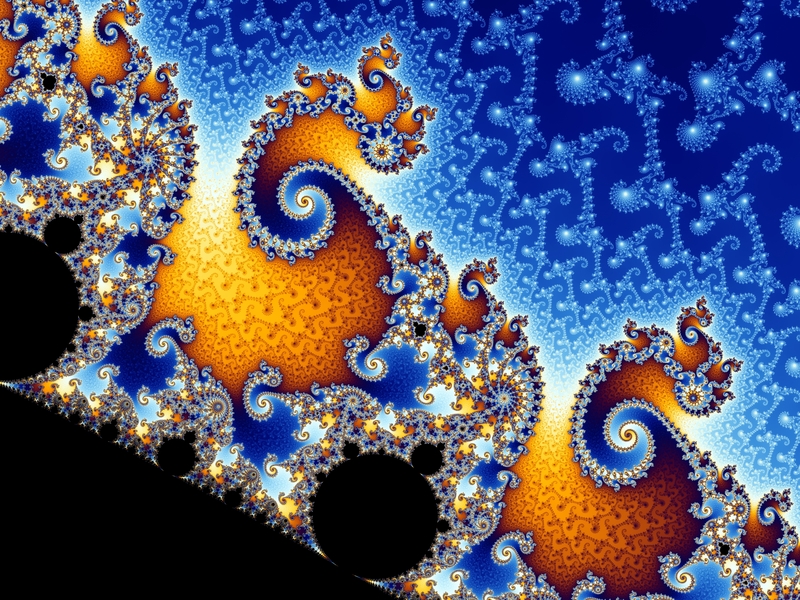 What does the ‘B’ in Benoit B. Mandelbrot stand for? I did another writing prompt today and it reminded of a joke: What does the ‘B’ in Benoit B. Mandelbrot stand for? Here’s a link to the writing prompt–a flash fiction prompt this time–and my response. Hope you enjoy it. Author BryanPosted on December 23, 2014 March 16, 2015 Categories Writing Prompt ResponsesTags /r/writingprompts, absurdism, Benoit B. Mandelbrot, fiction, flash fiction, joke, Mandelbrot, Mandelbrot set, math, mathematics, science fiction, sets, short, short story, stories, story, writing prompt, writing promptsLeave a comment on What does the ‘B’ in Benoit B. Mandelbrot stand for? He had convinced me to come all this way and now what? This? “We’ll really learn a lot,” he said, brushing a curled strand of hair out of his face with that smile I’ll never forget, the one he used to get our first kiss. “Like, about us, the world, everything. It’s beautiful out there, romantic.” He leaned in to kiss me but I backed away, a big grin on my face. We fell to the floor in a heap of tickling and love, and I was soon convinced that this trip was exactly what we needed. Not anymore, though. Not anymore. His change first started to present itself even before the plane ride–on the way to the airport, packing, you name it. I saw in him then the seeds of the transformation that would overcome him, changing him into…What? Packing was a mess. It was December, sure, but it was also Hawaii. Should he pack for cold or warm? The taxi was late picking us up and the security line long when we got to the airport, causing more of a huff. Even when we were finally in our seats, on our way to “learn so much about everything”, he couldn’t stop complaining about the baby sitting across the aisle from us even though the cute little thing never made a peep. All signs, all I should have seen long before this trip, altogether too little too late. Now what? I’m standing here alone, shivering, looking at a lame gray steam vent and waiting for some magical something to happen. That’s what. And he? He is alone in the hotel room, doing God knows what, if you can even call what he’s become him. He’s changing in there, I’m sure. I wonder if I’ll even recognize his face when I see him again. Why did have to be such a– A what? What had he become? Had I changed as much as he? The sun fell with my mood. I had been holding my head in my hands, mourning my own misfortune, for I don’t know how long when I looked up and the sun had gone down. The lame gray steam vent was all but lame at this time of night, lit with an intense orange glow as if the bowels of Hell were just under my feet. I stood and took a few cautious steps toward the rising clouds of Hellsmoke. Could I get close enough to see into the pit, look into the very jaws of Hell and know for certainty of its existence? How close was too close? “You’re telling me,” I said as he pulled me closer to the orange glow of the caldera. As he pulled me closer, he tripped and fell tumbling toward the gaping mouth of the volcano, almost pulling me in with him. I was up fast enough to grab his leg, just as it was about to disappear behind the lip of the chasm. There he dangled, looking up at me, squirming and screaming for help, but all I could do was stare into the bright orange Hellfire, trying to discern just what it was I was seeing. I’ve been doing a couple of writing prompts on reddit’s /r/writingprompts and I thought I’d go ahead and share them on this site–trying to give it a little content, you know. Without further ado, here they are. I’ll put the prompt first with a link to the post on reddit in case you want to read anyone else’s interpretation. [Writing Prompt] You are a human that cannot die of anything. It is well after the end of the universe and after being asleep for X amount of light years you wake up. Time and space were no different. The universe was flat and it did not repeat itself. Ever. At least that’s what they had said, at least that’s what they had said. I had been soaring through nothing for who knows how long, who knows how far. If there is nothing what is time? What is motion? What is space? Had I been asleep? Was I ever awake before then? Light. Bright, piercing, as immovable as me, darkness, yet ever moving all the same. I blinked again and the light was gone, but I closed my eyes with the knowledge that it would soon return, even if I still had no idea what soon meant. [Writing Prompt] To combat humanities current problems, scientists send the less fortunate 4 billion of the planet at light speed so they arrive a few hundred years from now. Humanity has been waiting for their return and has prepared accordingly. The flags were raised and the music played. Oh, what a splendid sight to see. After years of toil, preparing the way for the future, here they came. And what a future they would have. The only worry was–well, no. There mustn’t be any worries. Geordi–yes, my Geordi, unbelievable as it seems–was put in charge of planning the party. I swear to you, he fainted when he got the news. I was there, I saw it with my own two eyes. When I finally shook him awake, he jumped into action–ordering me here and there, making phone call after phone call, and generally losing all capability of sleep. That was 6 months before Arrival Day. Geordi hadn’t stopped moving since. On Arrival Day itself, I was telling Marissa–yes the Marissa who thought she should have been planning the thing instead of Geordi–well, I was telling her…something, I don’t know. It’s not important anyway. I was talking to her and Geordi came rushing out of the kitchen–his paisley tuxedo disheveled from running all over the party for this reason or that–and ran right into us. Marissa–of course, she’s Marissa, we’ve been over this–well, she gives him this look like she wanted to kill him–and again, she probably did, she wanted to plan the party. Thank God it was too late for killing him to get her that or she might have done it right then and there. But Geordi, you know, he was busy, so he quickly apologized to me then stormed off to do some other important party planner work without actually acknowledging Marissa. I just smiled and nodded. Remember this is my Geordi we’re talking about. She was not right. Not in the least. She was just being a spiteful sore loser and trying to pull me down to her level. I wasn’t going to do it. I held my tongue at that, still silently nodding but taking deeper drinks, hoping to finish the thing and have an excuse to leave before I got drunk enough to speak my mind. I knew that Geordi did have a welcome mat of sorts planned and I thought it was a cute idea. Marissa probably hated it because she had come up with the same idea and never got a chance to use it. Marissa went on complaining and my drink wasn’t going fast enough even though I was pouring it down my throat like a funnel. I was on the verge of snapping at her when Geordi’s amplified voice called our attention to the stage where he was preparing for the countdown. “Ten, nine,” the entire crowd counted with him, myself included, though probably not Marissa. I didn’t really care so I didn’t turn to see. We all looked up at the sky as we counted. We could see the ship, a little dot out in the distance getting bigger as our future approached. “There it is!” someone in the crowd called. “Nonsense. It’s meant to do that,” someone else said. I looked up at Geordi on the stage. He had stopped counting and dropped his microphone, but he wasn’t staring at the sky, he was staring at Marissa and shaking his head, as if to imply that she had something to do with it. Marissa, for her part, grinned and shrugged despite the growing noise and flames plummeting from above. “Maybe I couldn’t have planned a better party,” she said, though I’m not sure I could hear her more than I read her lips or put words in her mouth. The ship came in too fast. The party was explosive and exciting, but a disaster nonetheless. That’s all for now, folks. Expect more in the future. Maybe I’ll go look at the prompts now. Until then.